Any adult wishing to plant seeds of peace, relaxation, and awareness in children will find this CD helpful. It is full of wisdom on how to simply be with children and nourish their compassion for themselves and others. 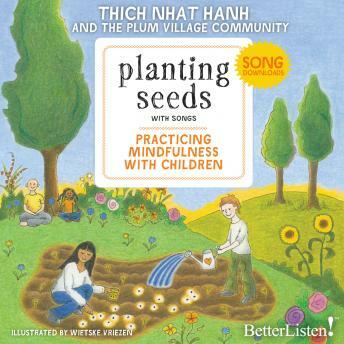 The CD has inspiring recordings of all the songs in the book, Planting Seeds, as well as a guided pebble meditation, total relaxation, and children's touching the earth.